This is where we live. Discovered by chance, on a visit to the Musėe Bonnard, we decided immediately to make Le Cannet our home. It feels like a quiet French village, small, intimate, welcoming, yet just up the hill from Cannes, overlooking the bay. We walk to the shops every day and greet our neighbours. Every encounter is warm and full of French courtesy, our cheese carefully selected and wrapped, our café served with a tiny, perfect chocolate, smiles, waves and friendly words as we walk through town. There is an innate elegance and charm here that completely wins us over and makes us feel at home. In the old village, artisan studios line the historic Rue St Sauveur. This is where the Le Cannet Art Association presents ongoing exhibitiions, opened twice a month with a wine and pizza reception on the street. All part of the general joie de vivre, as friends, neighbours and artists gather to celebrate our creative endeavours. Everyone welcome! Le Cannet is beautiful…ive enjoyed exploring its streets during my last visits there. I’m delighted to see you’re move has been so successful Brenda. What a beautiful town, it’s definitely on my list of places to visit now. The new site is excellent by the way, lots of lovely colourful images and I like the mix of photos too. Thanks so much Mark, appreciate all your help! Yes , but what’s MY room like?! Lol. Congrats Brenda! Fab blog/ site…… Beautiful pics and paintings.. Please come Tony Kennedy! Would be so much fun! Thanks so much Fiona! Lovely to see your work online too. Let me know if you’ll be in Ireland around Christmas, we’ll be there. to have the priviledge of painting with such a talented and generous artist. You’re such an inspiration. Thank you for bringing your beautiful new home into my home in New Hampshire. One day Bob and I hope to travel to France and see our wonderful friends. Until then, keep your lovely pieces of artwork and fabulous photographs coming for all of us to vicariously live through! I adore your blog! Thanks so much Lisa. Really hope you come to visit soon! Thanks so much Maria. Hope to see you here soon again. 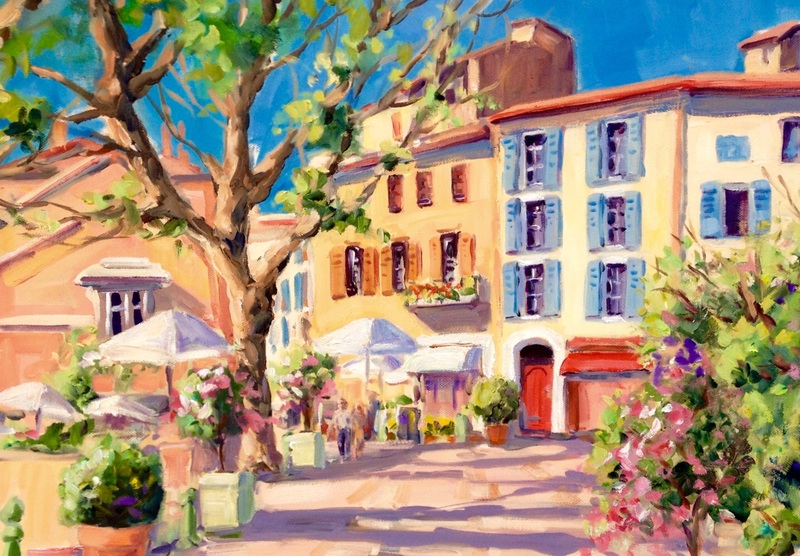 I’m planning a 5 day painting break in Le Cannet from March 22 – 27, staying here in Le Cannet and painting close to home. More details very soon, but I would love you to join us!